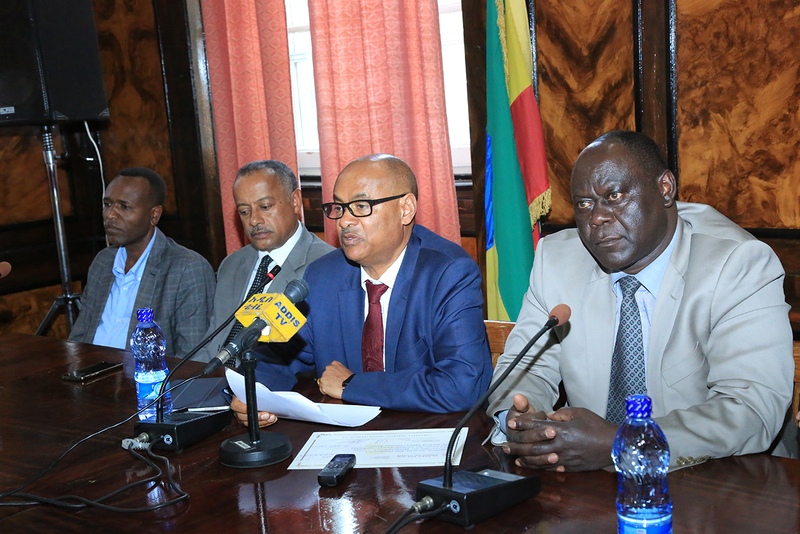 (March 21, 2019) The Addis Ababa University staff members donated 4.27 plus million birr to people displaced from different corner of the country. The university’s academic and administrative staffs offered 10% and 5% of their salary respectively, a total of 4,272,525.04 birr. AAU president, Prof. Tassew Woldehanna on the occasion noted that holistic changes have been fast-paced in our country, Ethiopia, since last year; the government is rigorously working to ensure individual rights however the current reform is triggered by a combination of factors; many people were internally displaced in Ethiopia than in any other country. 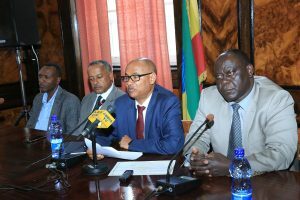 “The Ethiopian government is working to respond and return the displaced people but the support for displaced people needs involvement of all, “said Prof. Tassew. The president praised the AAU community for their contribution. Damene Darota Deputy Commissioner, National Disaster Risk Management said that 8.86 million Ethiopians need humanitarian aid of which 2.9 are displaced ones. The government and aid agencies are working hard to respond, said the deputy commissioner, but sheltering with host communities and in overcrowded communal shelters, food provision, water and health services are stretched and needs involvement of all.